I am seeing now that Jesus was incubated in the environment of a greater assembly. It was from this Angelic assembly that he came to be a messenger for humanity. I have come to realize this. When the New Message says that Jesus is now one of the Unseen Ones, this means he has returned to be part of a greater order beyond the visible range. The New Message speaks about Jesus retrospectively and prospectively, who he was then and who he is now. Here, in our understanding, his identity is being reunited with his source and his community. He is a member of a greater order where he is known as Jesus Cade Renar. And I have a strong sense that Marshall shares the same source and community as Jesus. Like Jesus, he came from the Angelic assembly down into the rote existence of this world. Both passed through a process of separation in order to be here. This is what it looks like. The Messenger becomes human. Yet their connection to the assembly is strong. The strength of this connection was forged before they came and it withstood the unbelievable process of individuation, amnesia and forgetting which is required for any of the Angelic assembly to take form in this world. Marshall Vian Summers was incubated in the same community as Jesus, perhaps Muhammad as well. And that can only be so, because look what has emerged out of Marshall: a vast New Message from God, a message of a thousand messages spoken through a thousand Angelic voices; unified, directed, all converging in one voice to communicate something this big. It is this greater assembly, unseen ones, teachers, advisors, angels – however they are described – that is responsible for bringing this New Message, and all former messages into the world. Like Mission Control for a massive launch, they work in unison. They work to end the separation, flying this “Earth-Mission,” bringing a new Message and a new Messenger to humanity. They offer direction to humanity, if it will accept. They bring people together to form great causes, if they will accept. They reach out to us, person by person, if we can accept the mysterious path of steps they put before us. I do know Jesus is amongst the Unseen Ones now; this greater assembly which is charged with overseeing the development of the world. I do know Marshall Vian Summers emerged from that community to be here. He is that connected to the individual who was Jesus. He is that connected to the individual who was Muhammad. The Messengers are united in this great cause to preserve, protect and advance the human family. Being at Marshall’s side, I feel tremendously connected to Muhammad. He is involved in what is happening now. Everyone in the assembly is involved in bringing the New Message from God to humanity. They are all involved. What Jesus went through and what Muhammad went though, now Marshall Vian Summers will go through. He will pass through the gauntlet of this world. And yet he has with him the connection and strength, the recognition and support of the former Messengers for Earth, who know of him, who know of the New Message and who are now playing a part in unfolding God’s next revelation to humanity. 2 Responses to "Jesus Was Part of a Greater Order"
I was told the bible was re-written and a lot was left out. With that being said do we continue to read ther bible and go to church with this New Message, and do we get to the truth of God and Jesus? 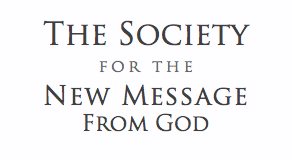 Each of the great Messengers brought in a Revelation that was essential for Humanity’s development. Each has had, and continues to have, a powerful and positive effect on the human family. We are emerging into a Greater Community of intelligent life in the universe, and we need God’s preparation for this unprecedented event. We are also facing a world in decline, and we need guidance as to how to unify our race and take care of our Earth. How we negotiate these challenging waters will determine the future of humanity. God has given us a New Message through his Messenger, Marshall Vian Summers. This Message is not here to denigrate other previous Messengers. Indeed, it honors them. Yet it must lead us all now, all from every faith tradition or no faith tradition, into a future that will be totally unlike our past.